Using a computer model, researchers from North Carolina State University and the University of Illinois at Chicago have revealed the effect of increased amounts of cholesterol on a specific ion channel involved in regulating potassium levels in the heart. The work sheds further light on interactions between cholesterol and heart function and could have an impact on future cardiac therapies. Ion channels are proteins located within a cell membrane that control the transport of ions between a cell’s surrounding environment and the interior of the cell. The electrical current that allows the heart muscle to contract is a product of a series of ion transfers across the cell membrane. Every cardiac cell has ion channels in the membrane that transport a specific charged atom – such as calcium, sodium, or potassium – from the external environment into the heart cell. 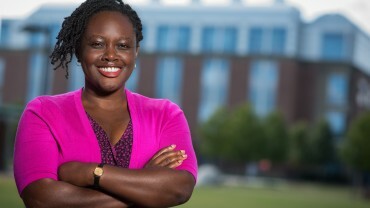 Belinda Akpa, assistant professor of integrated synthetic and systems biology and electrical and computer engineering. 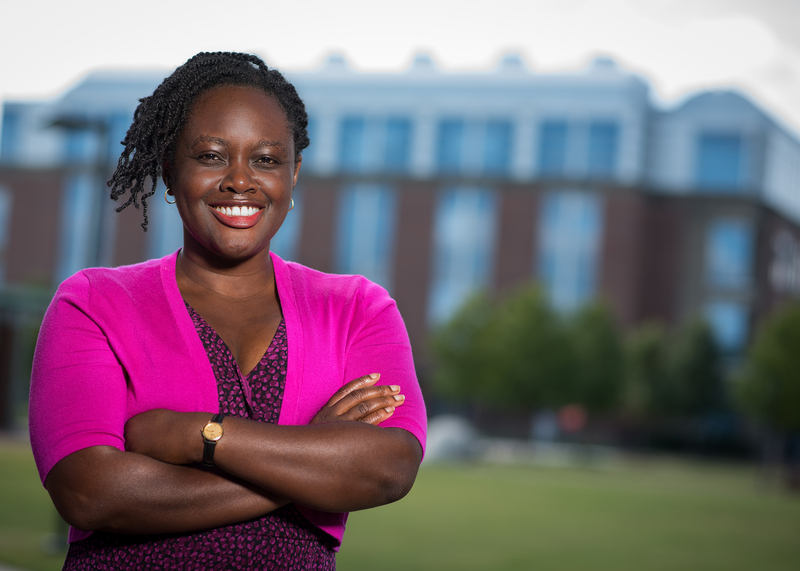 Belinda Akpa, assistant professor of integrated synthetic and systems biology and electrical and computer engineering at the NC State College of Veterinary Medicine and co-corresponding author of a paper describing the research, looked at the effect of cholesterol molecules on a particular ion channel, called Kir2, which regulates the transfer of potassium into cardiac cells. Akpa, University of Chicago at Illinois Ph.D. student Nicolas Barbera, and co-corresponding author Irena Levitan, professor of medicine, pharmacology, and bioengineering at the University of Illinois at Chicago, used computer modeling to reveal the ways in which cholesterol molecules interact with the Kir2 ion channel. They found that while individual cholesterol molecules don’t bind strongly to the Kir2 channel, increasing the levels of cholesterol made these interactions more numerous, essentially overwhelming the channel. Proteins and small molecules often interact like locks and keys, where only a specific molecule can fit into a particular region on the protein. These interactions cause the protein to change shape – in the case of Kir2, cholesterol sliding into these regions interferes with the protein’s attempts to open or close to allow potassium ions into a cardiac cell. 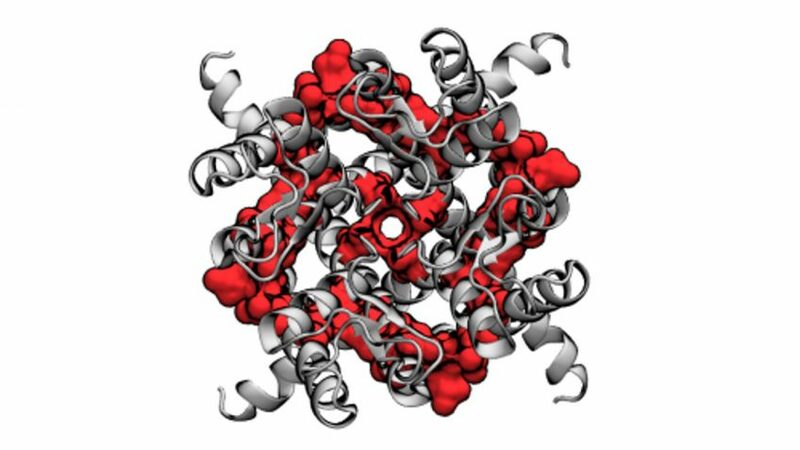 In their model, Akpa, Barbera and Levitan identified four “locks” on the Kir2 ion channel that cholesterol molecules attempted to occupy. Future work for the team will focus specifically on how additional cholesterol changes the ability of the protein to open and close. The work appears in Biophysical Journal, and was funded by the National Institutes of Health (grants HL-073965, HL-083298, and T32 HL-82547. Barbera is first author. Manuela Ayee from the University of Illinois at Chicago also contributed to the work.